When he’s not appearing in pizza-themed horror movies or dropping surprise singles, Chance The Rapper likes to give back to the city he calls home by letting people in Chicago see Get Out for free, letting people in Chicago see Marshall for free, putting together an awards show just for teachers, teaching Chicago-area kids how to work with audio, donating $1 million to Chicago public schools, and convincing the Chicago Bulls to donate an additional $1 million to public schools. 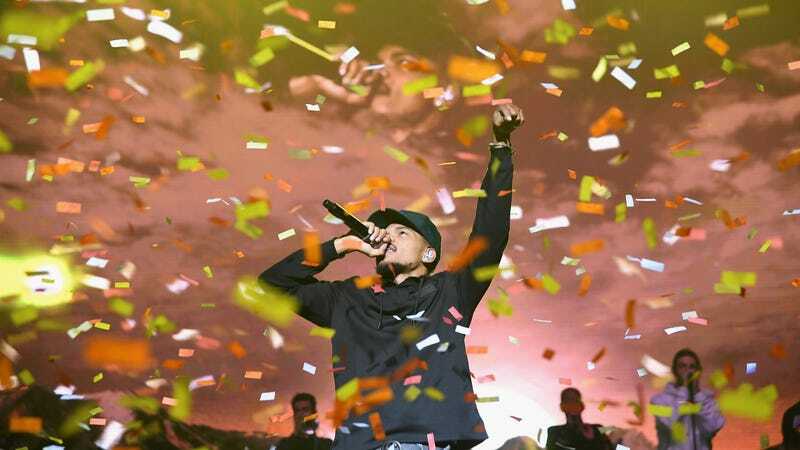 Now, according to ABC 7 Chicago (via Rolling Stone), Chance has announced that he and his SocialWorks non-profit are going to donate $1 million to mental health services in the city, and he’s heading up a new initiative called My State Of Mind that will try and establish a “go-to, modern resource” for people in Chicago to learn about and get access to mental health services. Hey, Chance, did you hear that Rahm Emanuel isn’t running for reelection? There’s going to be an opening for mayor of Chicago. Just letting you know.